Superdry men’s Rivine stripe t-shirt. A short sleeve tee featuring a ribbed crew neckline, a large Superdry logo across the front and striped detailing with a distressed finish. 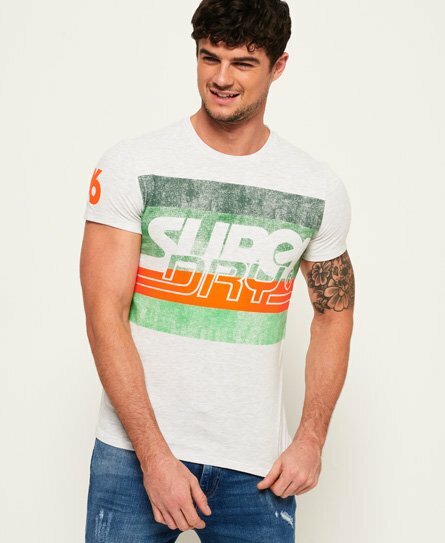 This t-shirt is completed with a Superdry number logo on one sleeve.